Mainstream audiences don’t get it – according to professional artists and professional scientists asked to assess the general public’s take on their work. In February 2018, Broto: Art, Science & Collaboration, a new organization dedicated to art and science collaborations, distributed cloned, online surveys to 100 professional artists and, separately, 100 professional scientists in the US and Canada. The goal of Broto’s independent market research is to assess degrees of agreement between the two populations as foundation work to understand art and science collaboration – the cornerstone of the Broto mission. 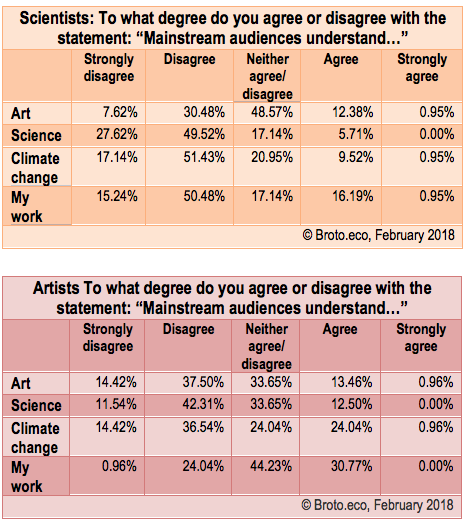 The surveys tested the general opinion of artists and scientists about whether mainstream audiences understand four key ideas: art, science, climate change and the respondents’ own individual work as artists and scientists. 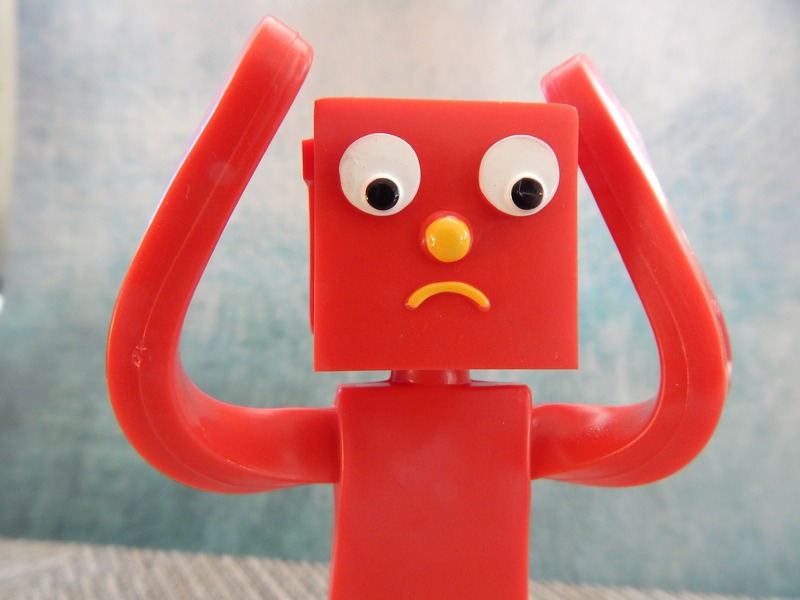 The survey results show significant levels of pessimism from both artists and scientists about how mainstream audiences understand (or don’t understand) their respective fields. The survey does not indicate if artists and scientists are justified in their pessimism. According to the independent lists, both artists and scientists concur — the mainstream audience does not understand science, ranking that lowest in the lists. In fact, of responding scientists, 77% either strongly disagree or disagree that mainstream audiences understand science. 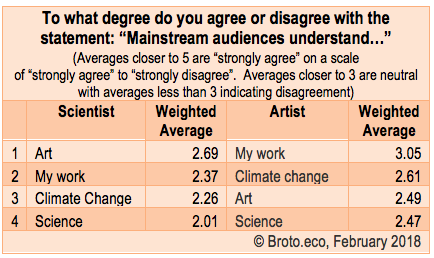 Of responding artists, 54% either strongly disagree or disagree that mainstream audiences understand science. When asked if mainstream audiences understand the individual respondents’ science work, 66% of scientists either strongly disagree or disagree that mainstream audiences understand the respondents’ work. In comparison, when asked the same question of mainstream audiences understanding their art work, individual art respondents are more positive, with 75% either neutral (neither agreeing or disagreeing) or agreeing with the statement that mainstream audiences understand their work. When it comes to climate change, however, both artists and scientists are again in agreement about the mainstream audiences lacking understanding. Of responding scientists, 69% either strongly disagree or disagree that mainstream audiences understand climate change, while 51% of responding artists ether strongly disagree or disagree that mainstream audiences understand climate change. Does the mainstream get art? Here, artists are more pessimistic than scientists. More than half of artists believe mainstream artists don’t get art. Of responding artists, 52% either strongly disagree or disagree that mainstream audiences understand art, while scientists are more positive — 79% are neutral (neither agreeing or disagreeing) or disagree that the mainstream understands art.